YouTuber Sophie Hannah Richardson found Insta-fame thanks to her striking mermaid-blue hair, eyecatching outfits, and creative makeup tutorials. 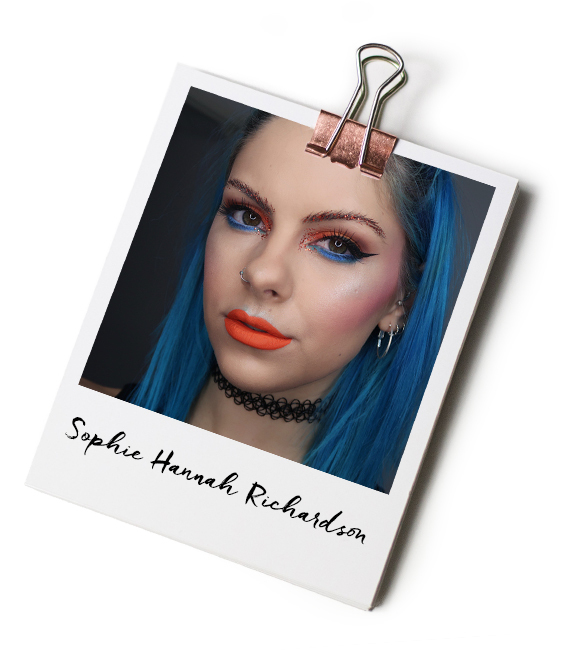 I spoke to Sophie about her beauty inspirations, her product picks, and her tips for creating a bright, bold look. What does being ‘fearless’ mean to you? Being different, standing out from the crowd and owning it. What are your favourite ways to use colour on an everyday basis? I love applying a pop of colour to my lips to jazz up my everyday makeup which is usually bold brows and a feline flick. What tips would you give to someone who wants to start using more colour in their makeup look? I’d say to purchase an eyeshadow palette that has an assortment of colours in. That way you can test out all the shades on your eyes to see which ones are your favourite. How has your makeup look evolved over the years? It’s definitely got brighter and bolder. I love experimenting with colour more and trying out new things. Glitter has been a new addition to my makeup looks over the last few years as well. I can also get away with a lot more now I’m blogging full time. What’s the one makeup item that instantly gives you confidence? Concealer! I struggle with redness under my eyes, so a little concealer really gives me a boost. How has your attitude to beauty changed over the years? 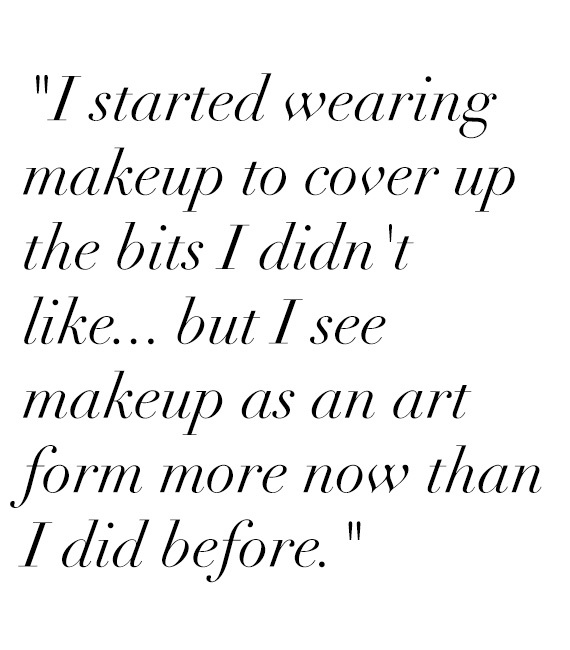 I see makeup as an art form more now than I did before. I started wearing makeup to cover up the bits I didn’t like. I still do that now, but I love beauty, it’s basically my job to experiment and showcase fun, bold looks for my followers to be inspired. What is the best beauty advice you’ve ever been given? I work a lot with glitter and it goes everywhere! But my friend told me about a tip she uses with sellotape and it’s changed my life! When you’ve taken your makeup off and you’ve still got glitter specks on your face, stick some tape down to your skin and it instantly removes the glitter. Beauty does not have to be expensive. 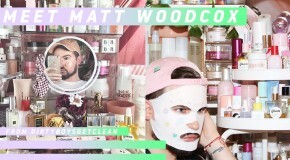 What do you love about Instagram / YouTube beauty culture? That people push the boundaries and there’s always some new beauty craze out there. Can you summarise your beauty look in three words? 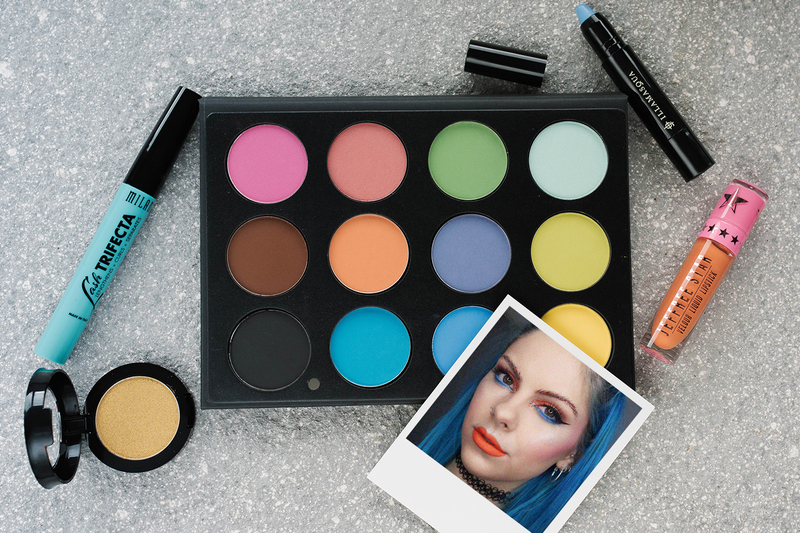 What do you believe is the main reason for the colourful makeup trend that we’re seeing at the moment? I think this is probably because of Instagram and YouTube. It’s hard to stand out from everyone on the platform, however anything colourful catches your eye. What are your favourite brands for creating a bright and bold beauty look? Jeffree Star has the most amazing liquid lipsticks and I adore the Ofra bright eyeshadow palette. What do you love most about makeup? 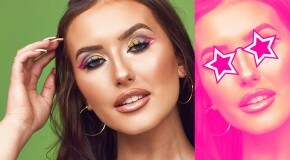 How it’s so easy to apply and there’s not a right or wrong way of creating a look. What are your tips for adapting a crazy catwalk beauty trend into something wearable? Using the colour black instead of colours tones down a look and makes it more wearable. Or take small elements of a catwalk beauty trend and make it your own. What is your favourite bold beauty look to create and why? Glitter makeup! When the festival season comes around it gets me so excited because it’s the one time I can get away with wearing A LOT of glitter. Where/who do you get the inspiration from to create bold, colourful looks? Instagram and pinterest mainly. But i always like to put my own spin on a look i’ve found. Where do you get your confidence from? I’ve never really been one to care what people think. If you’re wanting to test out coloured makeup then I’d definitely say invest in this palette. 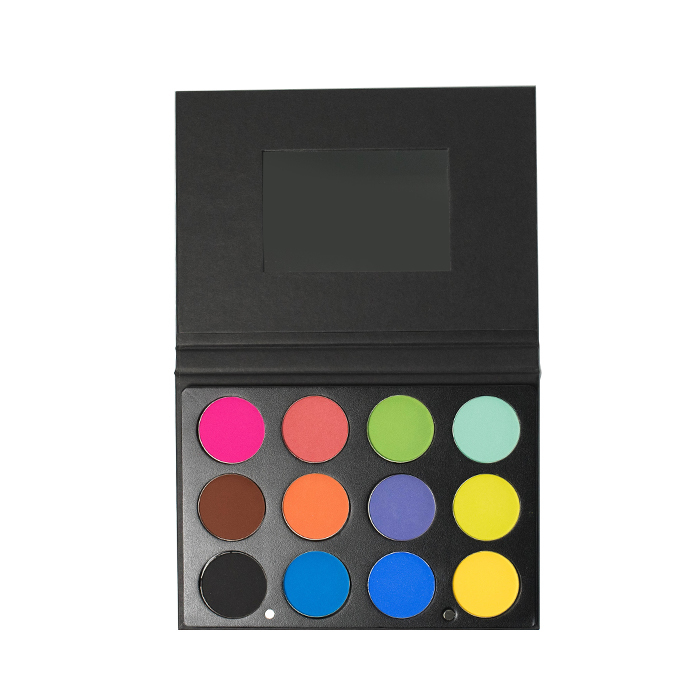 It is a little on the expensive side, however the pigments are amazing and you’ve got every colour you’ll ever need. 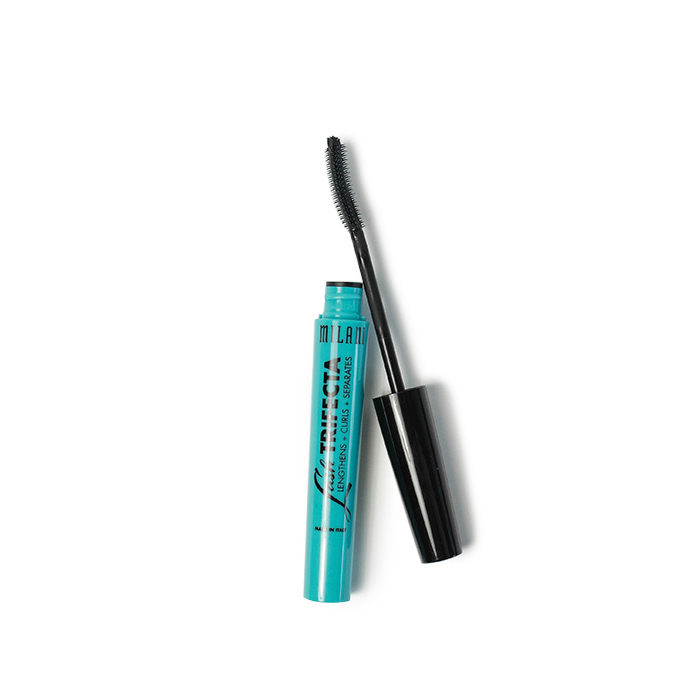 I love curled, long lashes, so I always opt for a mascara with a curved brush. 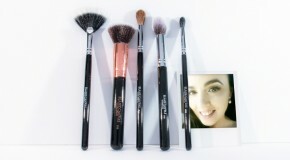 I find these really help in pushing your lashes up and giving them a fuller look. I’m a huge fan of a matte lipstick and this one leaves such a smooth finish. The colour comes out exactly the way it looks as well which is fab. This has to be my favourite product ever! 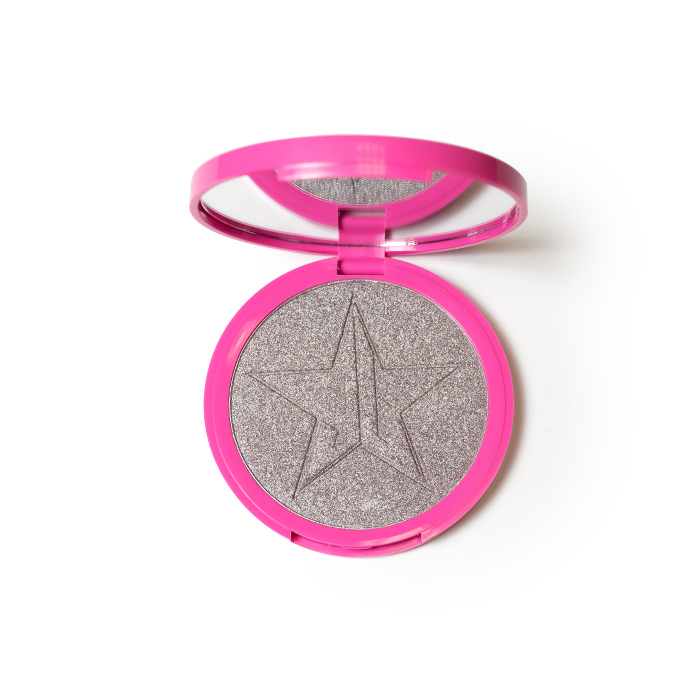 What a gorgeous colour for a highlight! I love how you can build up the shimmer too, it doesn’t go on too heavy. LOVE these Morphe pigments! 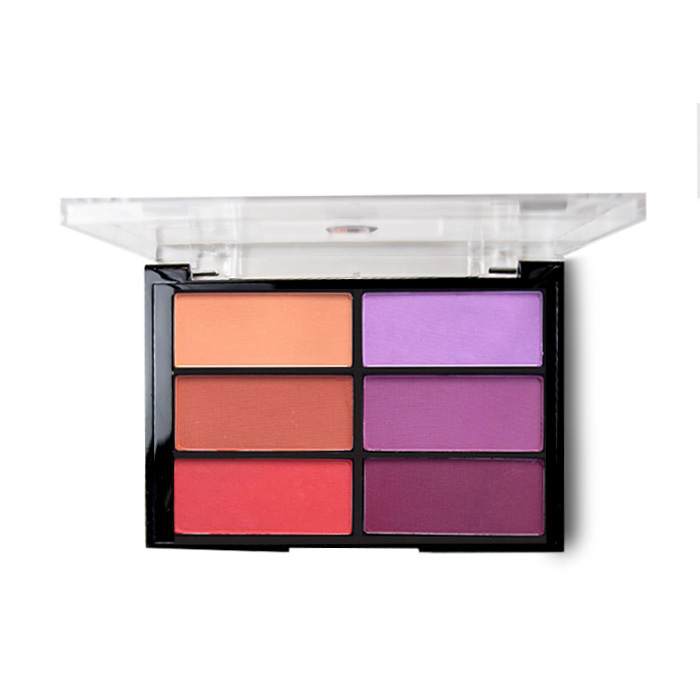 They’re so affordable and highly pigmented which is what you want in an eyeshadow. 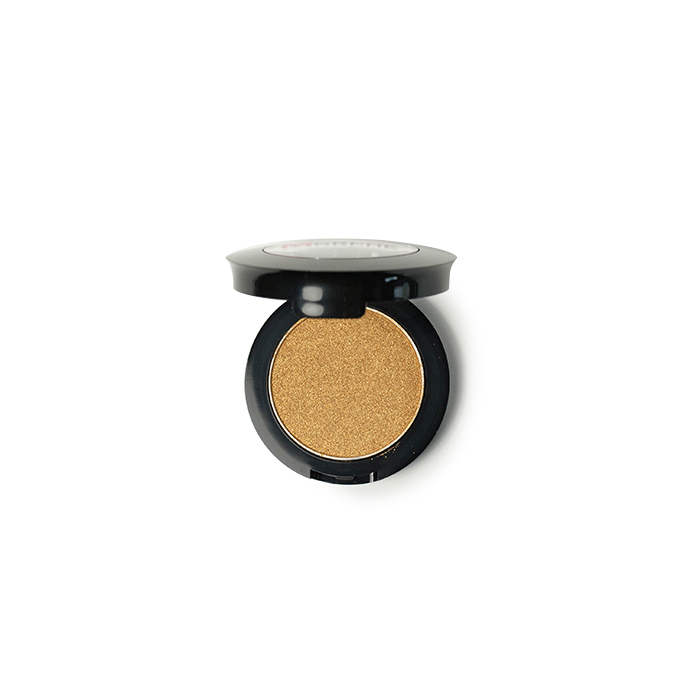 I also love the shimmer Gold Digger gives. It’s great for the inner corners of your eyes. I really like this for a coloured contour – it’s different. Follow Sophie on Twitter, Instagram, and YouTube.